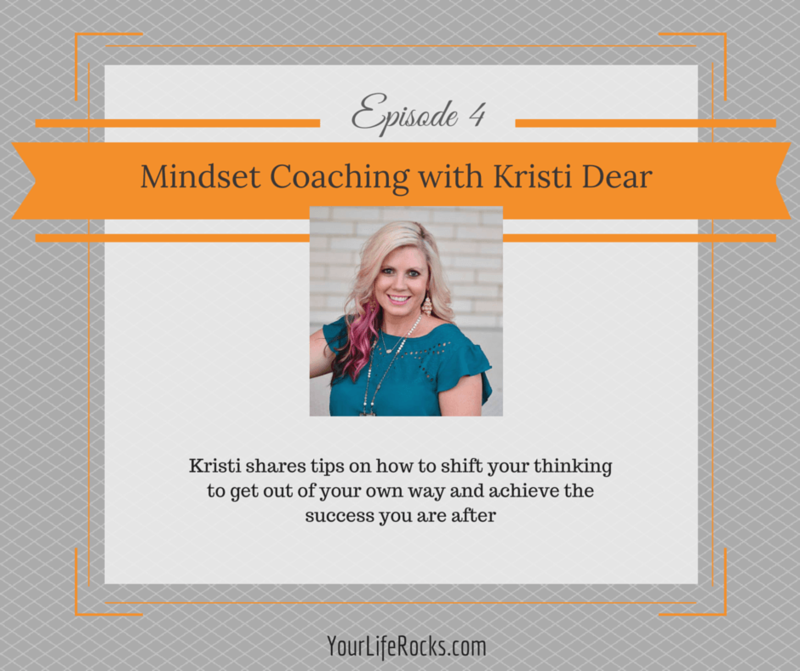 In This Episode We are Focusing On Building a Mindset That Rocks! Mindset Mentor & Success Coach for female entrepreneurs working with women who know the key steps to success but struggle around making the kind of money they want to make, and truly believing in themselves. At one point in her life she was overweight, depressed, living paycheck to paycheck. One day, after doing some self development she realized that she was the only thing standing in her way! She started to SHIFT her mindset, and believe in herself. She lost 80lbs, became a personal trainer, and started a women’s boot camp in her neighborhood, and her hubby was able to quit his second job! She also created a children’s exercise video that sells around the world. She taught her boot camp for 10 years, and then decided that she wanted to help women work on a deeper level and create the life and business of their dreams, so in July of this year she hired a coach, to expand her business beyond her local market. She can now say that she is an international coach, author & speaker, who turned her dreams into reality, and created a financially successful freedom based business that she loves. I always ask each guest these same questions. Learning from others is what helps us all grow. Here are Kristi’s golden nuggets. Every guest episode I ask about the not so perfect moments, we are all human. In those moments we need to give ourselves grace. Doing something you are passionate about but still having the flexibility to be there for your kids when they need you. A timer for social media. After the episode I found out that there is a really cool tool for this, it’s called Circle. It will blow you away, click here to learn more. Consequences for everything. Communicate it up front so they know. And of course, follow through….even when they have puppy dog eyes!